What is Buddhism to you? Is it about offering incense to the Buddha and meditating among the mountains? Is there something more? Why do some people choose to become monks and nuns while others opt to practice the Dharma from home? These are some of the questions educators from the Ministry of Education explored with Venerable Ben Si and Venerable Zu Sheng today as we welcomed them to BW Monastery. Besides parents, educators are the primary caregivers who lead and inspire our children, and at BW Monastery, we respect them very much so for all the work they do. 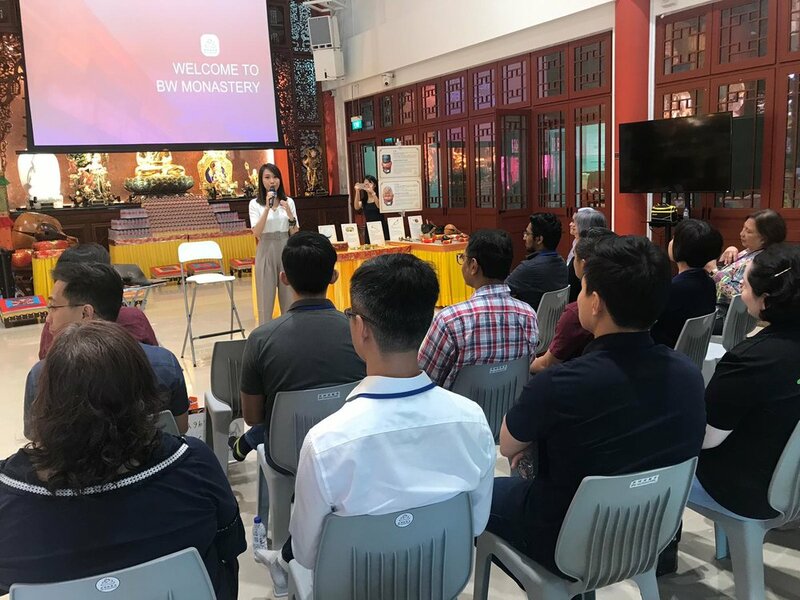 Hence, it was such a pleasure for us to be able to introduce Buddhism to them and demonstrate how it’s really a way of life through personal sharings by youth leader Yuling and management committee member Jereme. 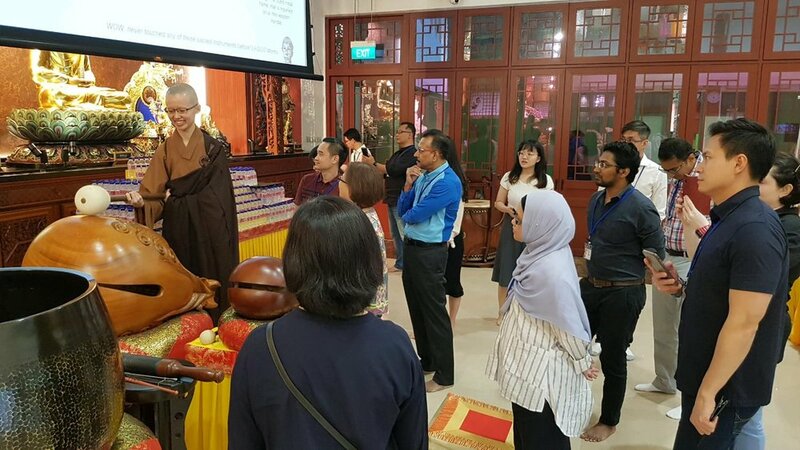 Next, everyone got a chance to try out Buddhist instruments used during Dharma assemblies – a rare opportunity indeed even for volunteers ourselves – and we filled the Grand Shrine Hall with sounds of bells and singing bowls. Thereafter, they engaged in a spiritual session with the Avalokitesvara Boddhisattva and had their questions answered through divine lots. Our visitors also had an intimate chat with Venerable Ben Si, who readily answered some of their most burning questions about Buddhism. It was a meaningful exchange because everyone came from different backgrounds but were open to various ideas and shared their thoughts about Buddhism. Keen to learn more about Buddhism and BW Monastery? We conduct group tours upon request, so write in to us now to arrange one for yourself too!